The spelling bee is for students in 3rd-6th grades. 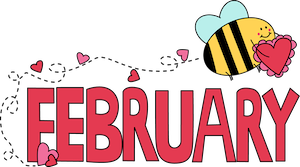 Each individual class will hold a spelling bee on Feb 15th. The top 3 spellers per class will advance to school finals held on February 22nd. Watch for the list of practice words which will be sent home with students the first week of February.